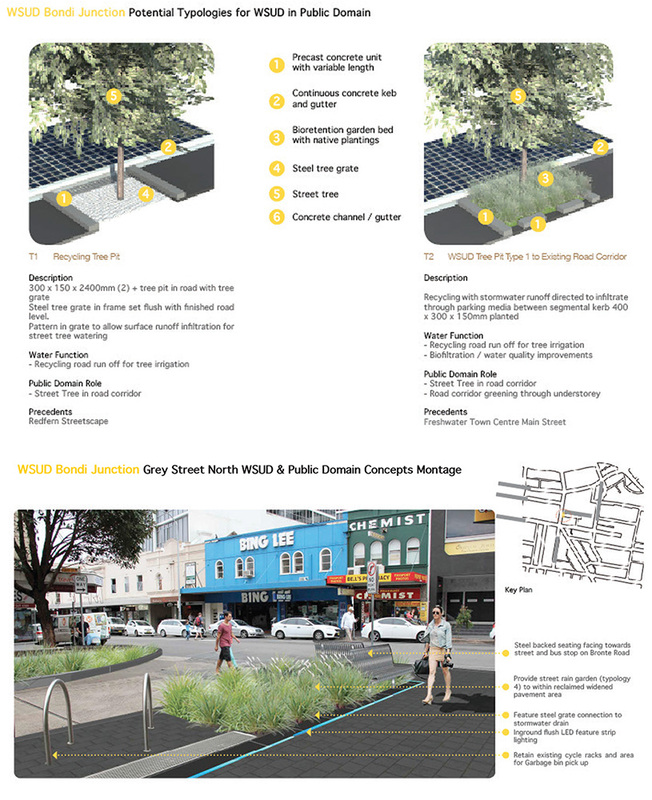 Environmental Partnership as part of our landscape collaboration Andersen Hunter Horne worked with urban designers Roberts Day and traffic engineers Cardno to provide a “complete streets” masterplan for Bondi Junction Town Centre. Complete Streets is an international movement that emphasises the importance of safe access for all users, not just automobiles. The plan developed new “road diets” for the main corridors that sought to win pedestrian space where practical and clarify the roles of individual corridors to best meet the needs of an integrated transport and movement philosophy. The plan has integrated the use of “pop up” installations to illustrate the experience of potential proposals for Council and the community. The plan is under progressive implementation by Waverley Council. More information on the project can be found on the Waverley City Council Website.